Hair moisturizers do not necessarily have to be purchased from the shelves. You can make your very own hair moisturizer at home using ingredients from the kitchen and the cupboard. Combine half a cup of honey and 1 to 2 tablespoons of olive oil. Apply the mixture onto your damp hair and massage. Leave the honey and olive oil mixture on your hair for about 20 minutes. Rinse off with warm water. 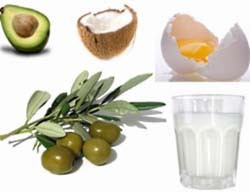 You can also replace olive oil with other natural substances and food products that are high in protein like egg yolk or avocado. This can be used once a month for extremely damaged and sun dried hair. Cut avocado into half and use one half of it for this recipe. Simply mash half of the avocado and combine it with 1 to 2 tablespoons of egg yolk, mayonnaise or sour cream. Massage the mixture onto damp hair and let sit for about 15 minutes. Rinse it off with water and repeat this natural treatment after two weeks. Open a can or a bottle of beer and measure 1/2 cup of it. To make the beer flat (less carbonated), let it sit for about 2 hours. After 2 hours, add in 1 teaspoon of canola oil or sunflower oil and one raw egg. 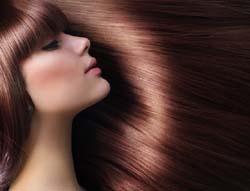 Mix the three ingredients thoroughly and apply it onto damp hair. Let it sit for around 15 minutes and rinse off. Make sure to use cool or room temperature water when rinsing so as not to cook the raw egg.